In this episode of Cabot’s stock chart school, editor Mike Cintolo discusses buying and selling stocks for maximum profits. He discusses how to find great growth stocks, how to use charts to determine when to buy and sell, and gives some historical examples. 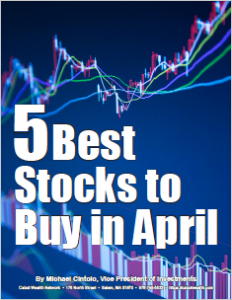 buy and sell, buying and selling stocks, cabot, chart school, charts, great growth stocks, growth stocks, mike cintolo, selling stocks, stock, stock chart, stock charts, stocks.